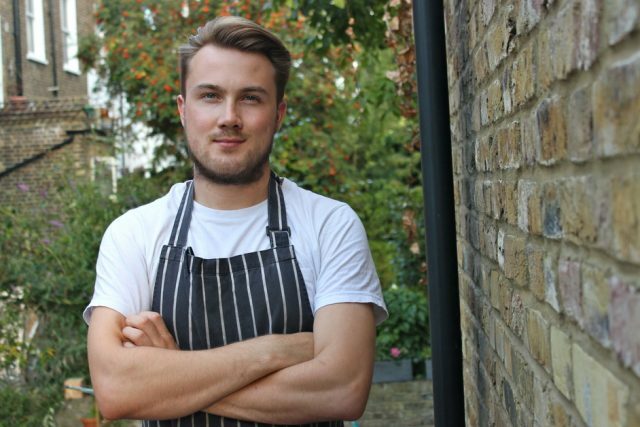 One of the most hotly anticipated openings of the year so far is Brat – talented young chef Tomos Parry’s debut solo venture. Parry made his name working alongside Chris Leach at Kitty Fishers in Mayfair, and has this time collaborated with the owners of Kiln and Smoking Goat on Brat, which shines a light on wood-fired Basque cuisine and at the same time pays homage to Parry’s Welsh roots. Housed above Smoking Goat in trendy Shoreditch, dishes are made from seasonal ingredients on wood ovens in the centre of the room and include the likes of cedar wood sea trout with Jersey cream; wild mussel and cockle soup; soused red mullet; spider crab, cabbage and fennel; and a whole wood-fired turbot for £55. We love the sound of the brown bread ice cream for pud. Wines come by way of Mark Andrew and Dan Keeling’s recently formed Keeling Andrew & Co. Given the restaurant’s Spanish roots, the pair make a hero of Sherry via an amontillado and tonic cocktail and a strong selection of Sherries including rare drops from lusted after bodega Equipo Navazos. On the still wine front you’ll find the likes of Godello from Telmo Rodriguez; Lopez de Heredia’s iconic Tondonia Blanco from the 2004 vintage; and juicy Beaujolais from Fleurie-based bright young thing Julien Sunier.